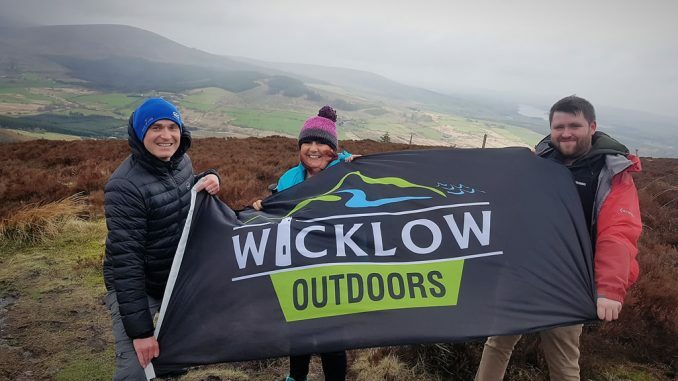 “Wicklow Outdoors” is the new brand which has been launched by Wicklow County Tourism in partnership with Wicklow County Council. Wicklow is a great county for outdoor activities and is already a popular destination for adults and children who prefer active holidays and breaks. Wicklow is uniquely suited to outdoor tourism because of its location and its landscape. Its coast has some very nice beaches and the county is full of mountains, rivers, lakes and woodlands offering great opportunities for hiking, mountain climbing, cycling, horse riding, golfing, surfing, fishing, sailing, kayaking and other activities. There are quite a few dedicated activity centres where various activities for adults and children are organised and catered for. See, for example, 10 Activities for Children in County Wicklow. The county is directly south of Dublin City and is easily accessible by road, rail and bus making it an easily reached destination for this large population base. Being on the East coast it is also close to Britain. Visitors from the UK can easily “hop across” by air or by car ferry to either Dun Laoire or to Rosslare. As well as marketing the Wicklow Outdoors brand at home and abroad in partnership with Failte Ireland, Wicklow Tourism intends to develop and expand the walking routes from the Wicklow Way to the Sugarloaf Way, St Kevin’s Way, Avonmore Way, Blessington Greenway, Vartry Reservoir and more trails around Wicklow. They also intend to develop a network of recommended cycling and ebiking routes.